As the snow starts to settle over Seoul, a whole world of cold-weather fun awaits. So rug up, pull your boots on and head out the door – we've got tracks to make. Switzerland. Canada. Japan. These might be the places that first pop to mind when you think of everything snow. But with the 2018 Winter Olympics being held in PyeongChang, the eyes of the world have fallen on South Korea, and it seems we’re about to learn what the locals have known all along – their winter is unlike any other. 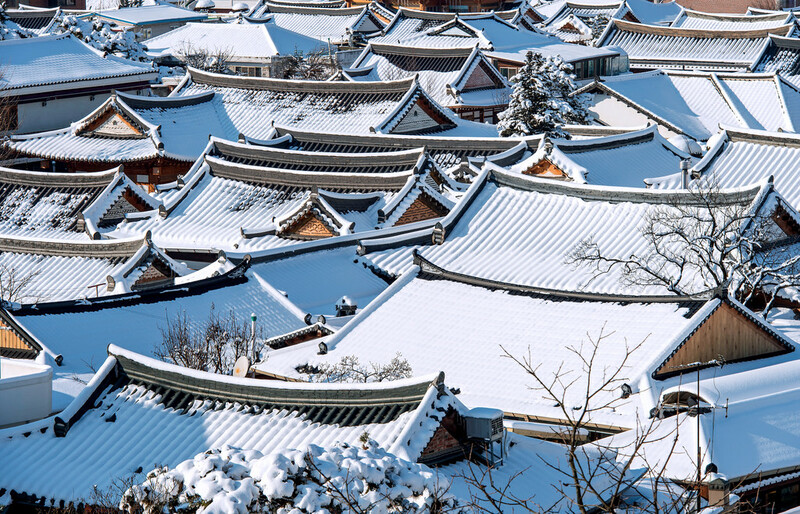 Starting in Seoul, take a trip around this underrated country – from the heart of the city to the top of the mountains – and discover a winter wonderland that’s been waiting to be unearthed. This 1,153km (716 mile) journey travels from the capital around the mountains in the Eastern provinces, finishing up in a traditional Korean village (with legendary bibimbap). Here’s what you can’t miss along the way. Covered in rugged mountain ranges, the gardens, parks and landscapes of South Korea are simply spectacular. 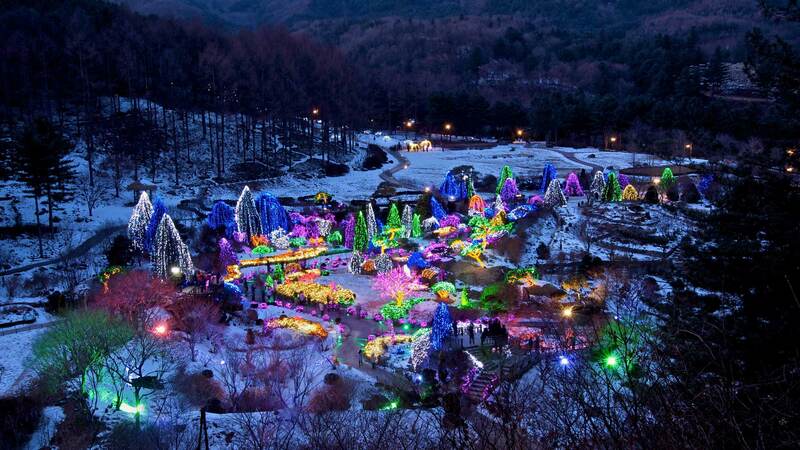 Go chasing waterfalls at Seoraksan National Park, or take a trip to The Garden of Morning Calm, where every Winter the greenery is festooned with a multicoloured lighting installation. With a sprinkling of snow over the top, the experience is truly magically. 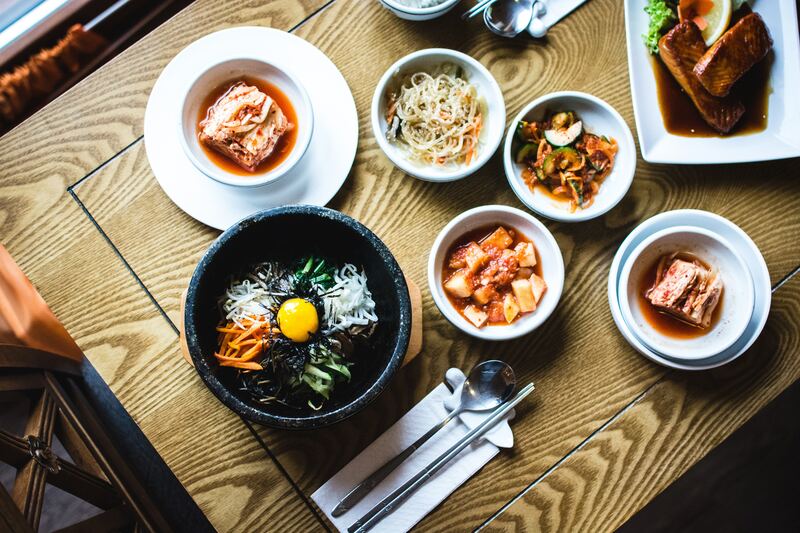 Spicy, salty, sweet – Korean cuisine is a unique balance of flavours and spices. While in Seoul, visit hole-in-the-wall institution Gwanghwamun Jip, which has been cooking up their famous kimchi stew for the last 30 years, or head for the hills to Mokmyeoksanbang, which sources the ingredients for its bibimbap from local farmers. 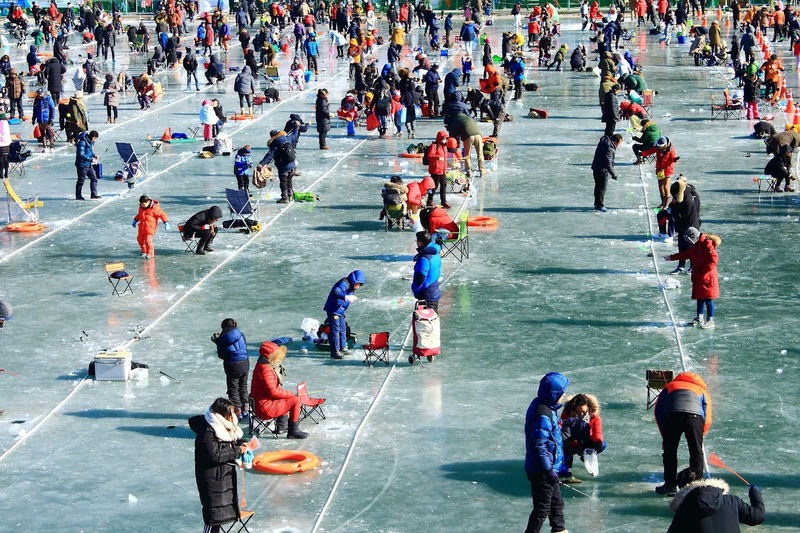 The locals are not afraid of spending time outdoors as the mercury drops – a prime example is the Hwacheon Sancheoneo Ice Festival, an annual event held just a few hours outside of Seoul. Every Winter, families descend on the small town to celebrate everything and anything to do with the cold. From ice-fishing, to explorable castle ice-sculptures, snow sports and music performances, it’s an event like no other. Try your luck at the barehand fishing competition, a spectator sport when willing participants jump into a freezing cold pool and try to catch what they can. Looking for something a bit more relaxing? Head to the Jinan Red Ginseng Spa, for a rooftop spa overlooking the mountains. Follow it up with a shot of soju and you’ll fit right in. Geonbae! Dotted across the country you’ll find ancient temples, fortresses, cities and ruins. While these sites are majestic year-round, there’s a certain special magic that happens when you see them settled under snow. Pay a visit to Haeinsa Temple, home to 81,350 wooden printing blocks containing the whole of the Buddhist scriptures. See the other-worldly hill formations at Gyeonju, which have kings of the Silla kingdom entombed within. Don’t leave without visiting one of the traditional Korean folk villages, for an insight into the culture, architecture and daily life of the people. 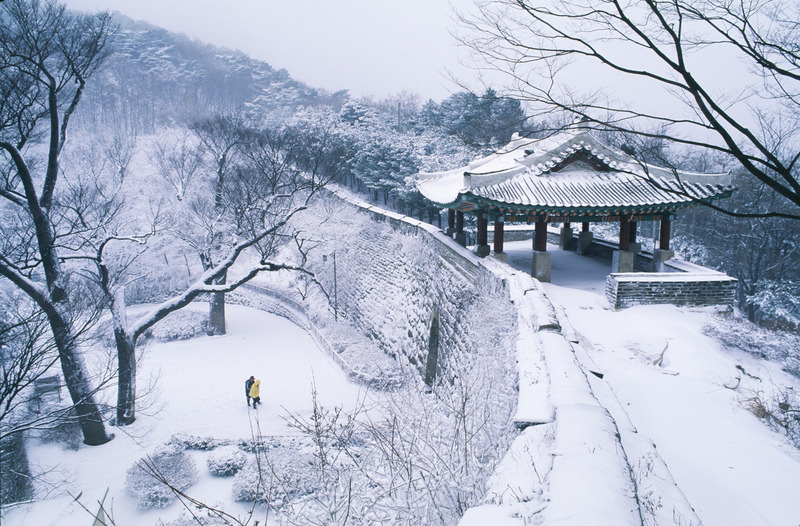 South Korea is spectacular in any season, but in the cold the country really hits its stride. Start planning your trip for next winter, before the secret gets out. Travel Tip: While there’s adequate transport between major cities in South Korea via their trains and buses, there’s nothing quite like the freedom of exploring a country behind the wheel. To drive in South Korea you need to obtain an International Driver’s License before you leave your home country. Car hire is easy, with major international suppliers available in most cities – try to get a car with an English GPS system, and also pick up a good road map at an information centre as back-up. You’ll find driving in South Korea like most cities – try to avoid busy city centres, but highways and major roads between cities are well maintained, and there are no autobahns or similar to contend with. Note that speed cameras are prolific throughout South Korea (sometimes as many as two within a mile! ), so make sure you stick to the speed limit! Want more South Korean winter tips? Click through the map above for the full story, and use the QR code above to save the journey to your phone. Got your own super secret winter spots? Share your own snowy adventures with a map from Alpaca. Keen on seeing more maps of worldly escapades? Follow Alpaca on Medium, Instagram, Facebook and Twitter to keep in the know.